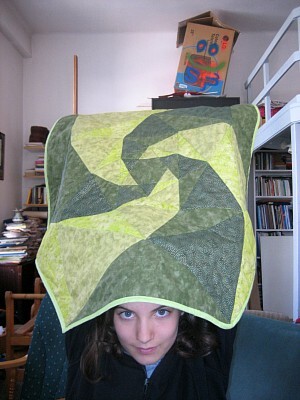 I belong to a yahoo group of quilters and one day a member posted a web site about spidrons. I had never seen a spidron before so it was new to me. She knew I was a math lover and posted "hey cindy, wouldn't this make a great table topper". 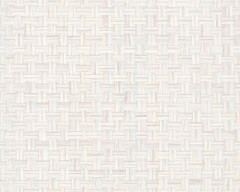 I visited the spidron web site and after drooling I thought about the table topper. But then I thought, who would be so crazy to take on such a challenge. For several months the spidron image was on my mind. I was searching the internet to learn more about this cool geometric system. Anyway, I decided to take the plunge and started to design a table topper inspired by the spidron shape. 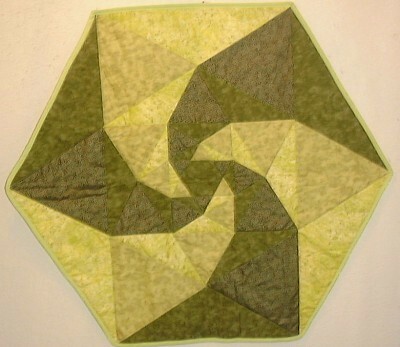 I first introduced the Spidron Table Topper quilt workshop at QuiltCampus. If you took the workshop you may remember that the spidron was discovered by Dániel Erdély from Hungary. Dániel came across our workshop info page and contacted me. After almost falling over from getting an e-mail from such a famous person I e-mailed him back. Since then we have corresponded back and fourth now and then. Come to find out he has a 13 year old daughter named Janka. Anyway, he was so excited about the quilt with spidrons that I asked my mil if she would make Janka a spidron table topper. My mil was more than eager to do so and here it is. Janka's favorite colors are bright greens. 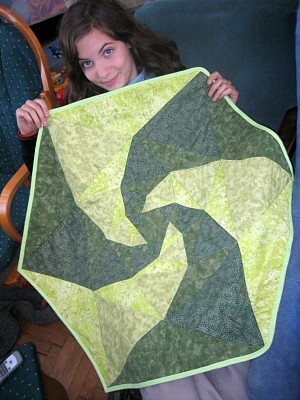 I packaged up the quilt and off to Hungary it went. Well at least I thought it was going to go to Hungary. Did you know there are a lot of rules and regulations to ship things outside of the USA? Well I was learning those rules real quick....hehe. 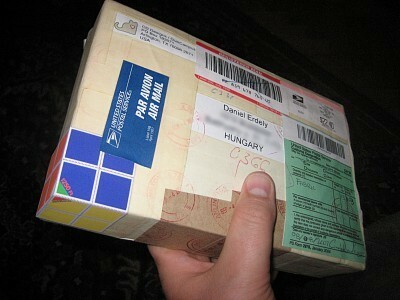 Anyway, after repackaging the quilt according to the postal rules, the quilt was finally on its way to Hungary. After three weeks the package was in Dániel's hands. Look at all those stamps and seals! Lets see: There is the customs stamp, the return receipt stamp, the registered stamp, the air mail stamp and other odd stamps. Note the 3D stamp on the front corner that looks like a rubik's cube. That is a new stamp designed by Dániel, which will hopefully be bought by the Hungarian Post Office. 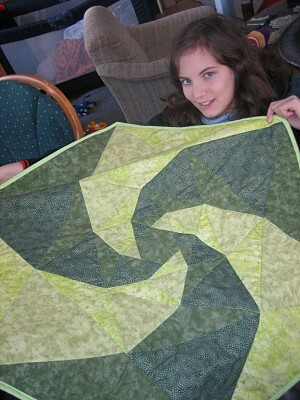 Janka was now able to see and enjoy her new quilt! Now the good news! Even thought Dániel owns the trademark on the word Spidron, he has given me permission to keep the name Spidron and still provided the quilt workshop for a small fee. What a wonderful guy! You can read more about Spidrons at http://www.spidron.hu.